So the first weekend of the 2014 FIFA World Cup is completed & there are many trends & situations that are playing themselves out in this tournament so far. Teams that we didn’t think were going to do well have been a pleasant surprise (Costa Rica, Switzerland) have come on strong, old powers keep on script (Brazil, Argentina, Mexico) & leads are not safe in any game you play. 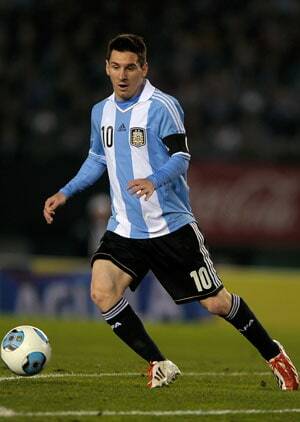 The Argentina team, led by the best player in the world in Lionel Messi, beat Bosnia/Herzegovina, 2-1 on Sunday night. Messi scored the goal to put Argentina ahead 2-0, but a win over Bosnia is not the main story. Argentina is expected to make it out of the group, & possibly win the World Cup, which is the last thing that Messi needs to solidify his greatness in world football. While most fans understand the greatness of Messi, he is still compared to Argentina legend Diego Maradona, who had one of the most fiery & exciting styles in the history of football. Messi is very quietly & goes about his business very professionally. This Argentina team is loaded with great talent across the board, but if the team beats Brazil, in Brazil for the World Cup, it could be Messi’s greatest accomplishment as a player & would set up his legacy forever. The Netherlands (Holland) Gets Big Revenge on Spain From Losing 2010 FIFA World Cup Final. The Netherlands (Holland) has been a nation that is criticized as a nation that doesn’t play exciting football, that doesn’t have the players that can compete on a world level in the World Cup tournament & doesn’t have the exciting, aggressive style that brings a World Cup to a country. They crushed that idea by defeating the defending World Cup champions, Spain, 5-1 on Saturday. The Spainards were completely outmatched & outhustled by the Netherlands. If the team is going to play like this & with the defensive intensity they showed in 2010, they could be a team that could be the sleeper in the entire tournament, riding the shoulders of Robin Van Persie. What Happens If Spurs Win An NBA Title Tonight?